Akhtaboot – the career network partners with Arab Woman Mag to power their own careers section with Akhtaboot’s Microsite Solution. The Microsite solution, is a revolutionary service powered by “Akhtaboot Cares Initiative” – Akhtaboot’s CSR arm, which provides Arab Woman Mag readers and website visitors with Akhtaboot’s full job content in a fully integrated and branded jobs section displayed directly onto the publication’s online career page. Arab Woman Mag visitors will be able to benefit from the full features of Akhtaboot’s website through the fully branded Microsite link by simply creating a job seeker profile along with the ability to apply to hundreds of jobs for free. Losing a valued employee can be very costly to companies. Retaining good employees is becoming more important at a time where skilled employees are becoming difficult to find. The Infographic below from Akhtaboot reveals some facts and reasons that drive employees to consider leaving their job. Employers can now have a clearer image of what they can do to retain high performers. Given the highly interactive Internet era we live in, many employees are dwelling in a sea of information with too many distractions. Studies have confirmed that multitasking not only reduces productivity at work, but it also makes less efficient and prone to making mistakes. It also pushes your brain to work harder which can have a long term effect on your memory. The key to producing high quality work in today’s demanding workplace is to know when to slow down. You need to train your brain to manage all the input at once. 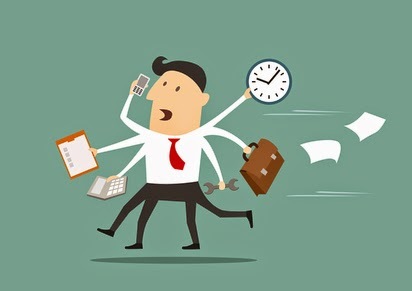 Akhtaboot is here with a number of tips to help you stop multitasking at work and to help manage your tasks more effectively. Email has become the main form of business communication, and that’s why knowing the proper etiquette for email job search is without a doubt crucial for the success of your career search efforts. 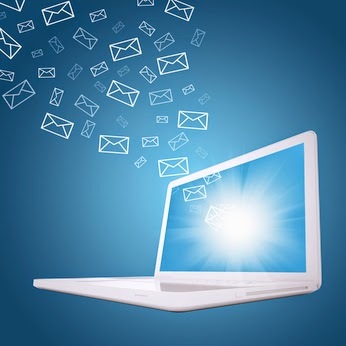 Sticking to the basic protocol of email is extremely simple and once you get accustomed to it, it will become second nature to you. But it’s this convenience that can lead to making embarrassing mistakes. Making a major email mistake when applying for jobs can significantly ruin your chances of landing the job you want. Fortunately, email etiquette can be easily learned and once you master it, you can boost your career potential. As economic growth slows down in most of the MENA region, unemployment is on the rise. Most people, whether employed or not, are looking for better opportunities to improve their career. What are the most and least important factors when considering a new job? What methods do job seekers use when looking for a job? What are the types of jobs with the highest demand? Take a look at the infographic below to get an assessment of employees’ job search trends in the MENA region from Akhtaboot. 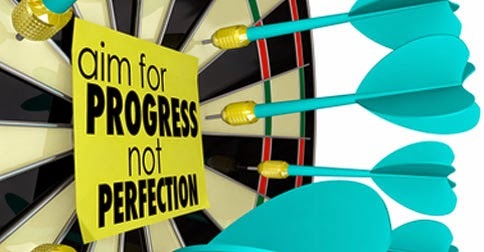 Perfection can be a standard that most companies aim for, but once it becomes the only standard accepted within the company, this is when it becomes unhealthy. When you set perfection as the standard for all of your employees’ objectives, you are placing unnecessary pressure on your people. You stand in the way of them trying new things, taking risks, and making mistakes. The necessity of self-acceptance becomes impossible and this lack of acceptance is used as a standard for others’ performance as well. Akhtaboot is here to highlight the pitfalls of perfectionism and how it may be holding you back at work. Give your workspace a makeover to boost your productivity! 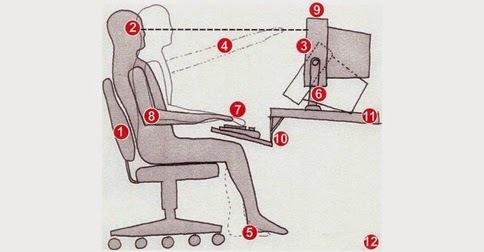 Office ergonomics is all about designing a comfortable, functional, and user-friendly workspace. It takes into consideration the interaction between office equipment and the people that use them. For maximum productivity and efficiency, make sure that you customize your work station so that it fits your specific needs and allows for a comfortable working environment. Sitting down in a static posture can increase stress in the shoulders, arms, and legs, and in particular, can add large amounts of pressure to the back muscles and spinal discs. Avoid back pain by adjusting the height of your chair so that your feet rest comfortably on the floor and your knees are about level with your hips. 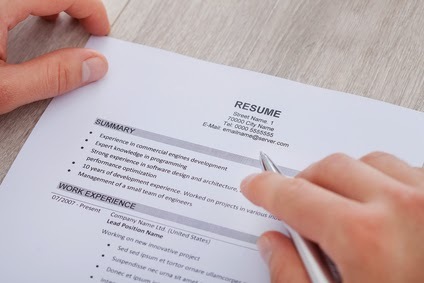 Stop making your CV look old! Employers today receive hundreds of applications for each vacancy. That’s why you cannot make any mistakes when it comes to writing and formatting your CV. This doesn’t mean that your CV is all that matters, but it is the first impression that will help you get your foot in the door. So if you haven’t updated your CV in a while, you may be falling behind the competition. As the job market keeps changing, many job seekers believe that a CV has become an obsolete job search tool, but this is not the case. The format will change from time to time, but having a well-written CV is still important. Networking Blunders You Don’t Even Know You’re Making. There’s some truth to the saying that “It’s not what you know, but who you know”. But this is only part of the whole truth. A more precise expression is “It’s not who you know, but who knows what you know.” Networking is both a way of life and a skill that can expose you to many personal and career opportunities. It’s too important to ignore if you want to land your dream job. Unfortunately, networking can be a minefield of professional faux pas if you’re not careful. Akhtaboot is here to highlight the top networking mistakes you might be making, and how to avoid each before your contacts start ignoring your calls. Take control of the situation and turn it around to your favor. It is very saddening that many job seekers have already given up hope about finding their dream job simply because they are convinced that there are no jobs out there. If you have a negative attitude, your job search efforts will not yield any results no matter how hard you try. Employability is all about having the right skills, a positive attitude and a great personal brand that will help you present yourself successfully throughout your career. Enhancing your employability therefore refers to your personal responsibility of increasing your chances of being employed. With all the recent focus on leadership best practices, companies to this day are still struggling to retain their top talent. When employees who are deeply embedded within the social system of a company leave, their departure can be costly and troublesome to the company. It is often said that employees don’t leave companies; they leave bosses. But how accurate is that claim? Let’s take a look at the latest Akhtaboot infographic which evaluates employees’ loyalty to their organization in the MENA region. There’s only so much time in the day, and it never seems to be enough. Most business owners are always on the look for ways to increase their employees’ productivity while maintaining high levels of quality. But just because your employees are at work doesn’t mean you’re getting work done. 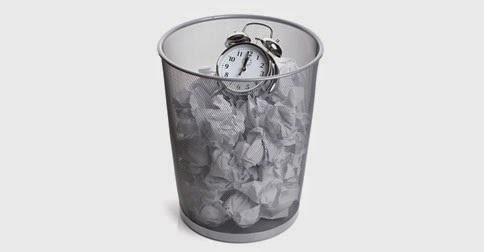 What you really need to do is to cut down on the top time wasters in the office. This doesn’t mean that you should block personal e-mail and social media websites. We’re talking about the kind of distractions that can derail productivity and stop your employees from doing their jobs. Akhtaboot is here to highlight the top productivity wasters that might be standing in the way of real work.